The call for abstracts opens on January 5 and closes on March 1, 2017. Don’t miss out on the EBHC event of the year, in dazzling Cape Town! The conference, on September 13-16, is a collaboration between five global EBHC groups: ISEHC, Cochrane, Campbell Collaboration, the Joanna Briggs Institute, and Guidelines International Network (G-I-N). Welcome to the 5th ISEHC Congress in December 2016! Abstract submission is now open for ISEHC 2016 – the 5th International Society for Evidence-based Healthcare Congress – to be held in beautiful Kish Island, Iran. See www.isehc2016.com for details. Hope to see you there! That pretty much sums it up…! With its 3rd successful conference in Taipei, ISEHC has cemented its presence in the EBM world. The Taipei conference attracted 537 participants from 24 countries. Over 60 oral and almost 200 poster presentations were held, and the hosts with Ken Kuo in the lead put on an excellent scientific program and a wonderful social program, including a great deal of great meals, from delicious buffets and gourmet lunch boxes to sumptuous morning and afternoon teas, not to mention the musical gala dinner…. Thank you, ISEHC2014 for 4 great days! Below are some of the highlights and take-home messages from the keynote speakers. Paul Glasziou defined 6 important proposals for EBHC’s future, among them “don’t skip step 0 in the EBM process” (recognise uncertainty), “take non-drug interventions seriously” (yeah, says the physio!) and “teach shared decision making alongside EBM”. Guideline recommendations are at the center of an effective evidence based practice and ambiguous, unclear recommendations are like jellyfish – without spine or structure (would take a surfer to know his sea creatures). Brian Haynes defined, in his dithyrambic talk, 7 priorities for improving EBM success, the top one being that we “shift research (and research funding!) to the right”, meaning from basic research to implementation (knowledge translation) research. And don’t forget to accessss (that’s 4 s’s) the evidence! Brian Alper also likes the letter S and added a few S words to the 6S pyramid – does it now have 9 s’s? Who will come up with the 10th s? Ken Kuo chose to focused on the letter A, as in awareness to adherence, and explained about dochakuka and glocalization – global evidence, local implementation. He shared some of the excellent guideline work being done in Taiwan, as did Naohito Yamaguchi about the equally excellent guideline work being done in Japan within the MINDS network. Gordon Guyatt walked us through the different uses of relative and absolute risks/effects and then redefined EBM as PM. Evidence-based Medicine is Personalized Medicine! Which leads us on to Victor Montori’s and Lyndal Trevena’s key messages – that EBM is nothing without SDM! … which leads into the future and next years’s conference where EBM really meets SDM. Abstract submission is now open – see you in Sydney in July 2015!? Read more about the Taipei conference, and check out the keynote slides and all the great photos at www.isehc2014.tw. The scientific program for the 3rd ISEHC Conference in Taipei, November 6-9, 2014, is now being finalised. Paul Glasziou will be kicking off the conference in the morning of November 7 (precon workshops on the 6th), and will be followed by plenary lectures by Brian Haynes, Naohito Yamaguchi, Gordon Guyatt, Ken Kuo, Victor Montori and Amanda Burls. Abstracts for oral and poster presentations have now been accepted and can be found on the conference website. ISECH 2014 offers an excellent scientific program consisting of 7 pre-conference workshops, 7 plenary lectures, 8 symposia, 90 oral presentations and 260 poster presentations from 19 countries. Please see www.isehc2014.tw for all the conference information, book your fligths and… see you on “the beautiful island” of Taiwan! Time to plan for Taiwan! 2nd ISEHC Conference in Sicily a smashing success! The 2013 EBHC International Joint Conference was held on October 30-November 2 in Taormina, Sicily, and was a great success. For its second annual conference, ISEHC teamed up with EBHC Teachers and Developers, who have held conferences in Taormina since 2001. With the aim of promoting an evidence-based approach to health care, education and research, this turned out to be a perfect match. The commonality between the two societies is, of course, the basic principle that evidence should inform all healthcare decisions at all levels: patients, healthcare professionals, healthcare educators, and policy makers. The Taormina conference attracted 159 participants from 30 countries, from Australia to Uruguay. The conference had an extensive scientific programme including keynote addresses from Gordon Guyatt, Paul Glasziou, Brian Haynes, Victor Montori, Amanda Burls, and Nino Cartabellotta. There were pre-conference workshops on GRADE and statistics, five plenary sessions, four parallel scientific sessions, four workshops and five theme groups. 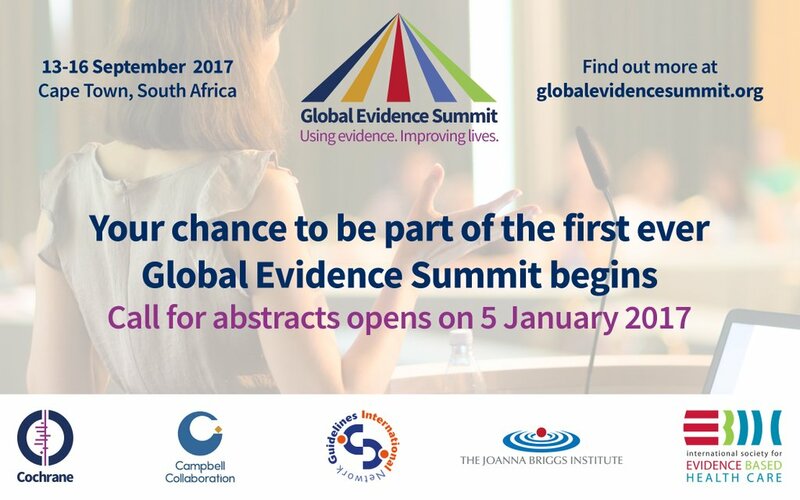 The 6 keynote lectures, 36 oral presentations and more than 50 posters contributed to highlighting the key role of Evidence-based Health Care in addressing the global challenge of the sustainability of health services. Some key take home messages from the conference were Gordon Guyatt’s new First principle of EBM: Systematic summaries of the best available evidence should guide patient management decisions, Brian Haynes’ presentation and emphasis of the value of pre-appraised evidence to facilitate clinical decision making, and Paul Glasziou’s presentation, via link from Australia, on digestion of evidence and the use of YouTube in medicine. Other interesting highlights and outcomes of the conference were the initiation of an EBHC MOOC (Massive Open Online Course), a funding appeal/proposal for the implementation of EBP in developing countries, and a proposal on how to integrate shared decision making in EBP education. Views of the future were shared and included the move to increasingly high-tech solutions for EBHC such as smart phones, integrated EMR’s, and push services. The Sicilian setting with sun, sea and exquisite cuisine were, of course, no small parts in the success of the conference. The ISEHC Board sincerely thanks Nino Cartabellotta and his team at the GIMBE Foundation for a great arrangement and for the opportunity to meet old and new friends! the 6th International Conference for EBHC Teachers and Developers. The first conference of the International Society will be held in New Delhi in October 6th- 8th 2012. The conference will be 2 days with submitted abstracts and invited plenary sessions. For more information click on this link – http://www.isehcon2012.com/index.html See you there!